For the last two years, the Pixel line has been released in mid-to-late October. 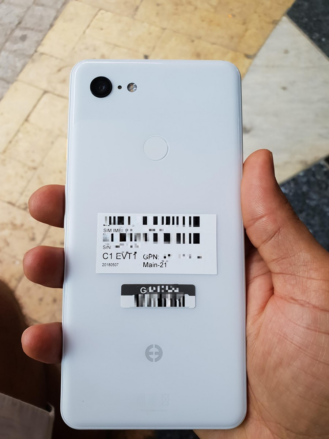 We're less than three months away from that at this point, so it makes sense that we're starting to see some more Pixel 3 leaks. 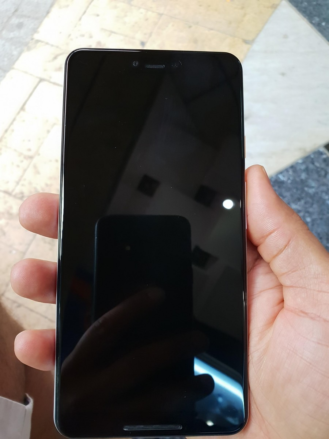 This time around, an XDA Forums member has posted some photos of an alleged 'Clearly White' Pixel 3 XL, and they match what we've seen thus far. 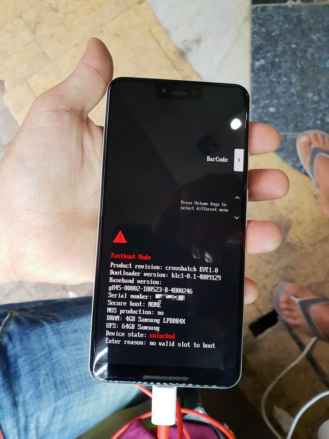 These photos come courtesy of XDA Forums member 'dr.guru,' who claims that the prototype doesn't boot because it's been remotely wiped by Google (hmm). Sure enough, the photo of the fastboot screen shows that there's "no valid slot to boot." From that screen, we can also see that the phone's nickname is crosshatch, and that it has 4GB of RAM and 64GB of storage. The unit previously leaked had 128GB of storage, but the rest of the information matches up. Hardware-wise, everything checks out as well. The logo that Google often uses for engineering units is visible on the back, as are the barcodes and identifying stickers. 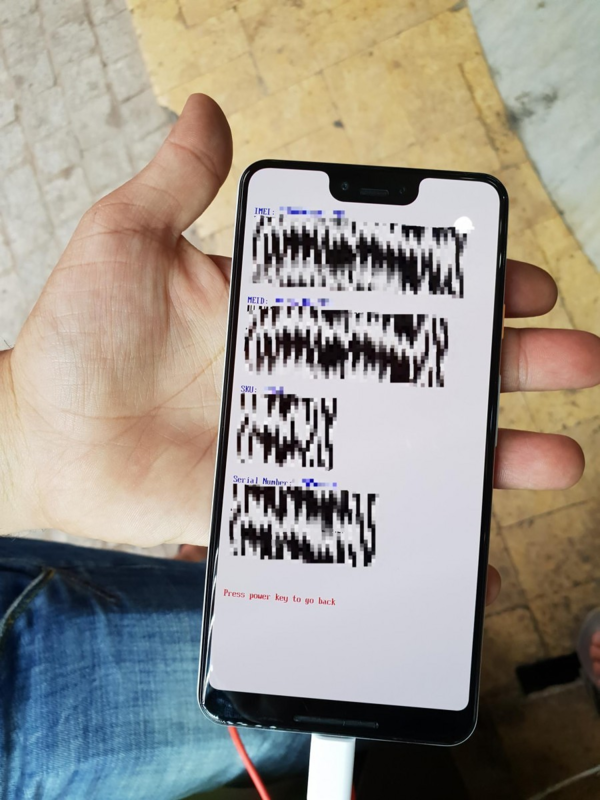 Unfortunately, the huge notch looks to be concrete at this point, though it's probably necessary to house the dual front-facing cameras. Note that there is indeed a piece of glass on the top of the back of the phone for the upcoming 'Pixel Stand'; it's just hard to see because Google chose to use a white piece of glass, like it did with the smaller Pixel 2. 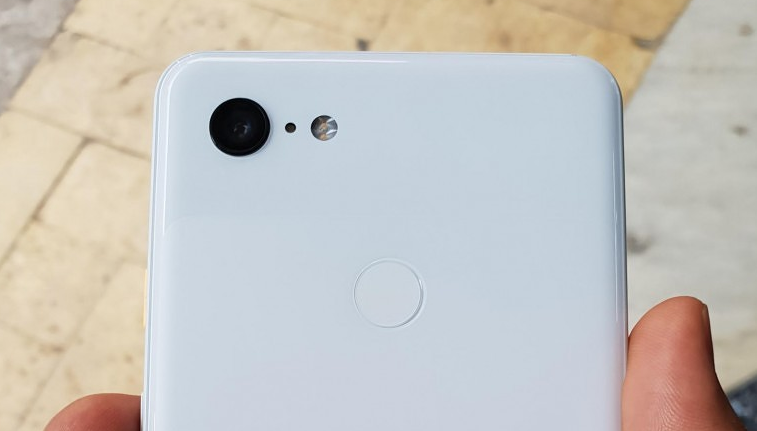 There are still quite a few unknowns about the Pixel 3 line; we haven't even seen the smaller Pixel 3 in any live photos yet. However, there's sure to be more leaks over the coming months. Weekend poll: Would you buy a smartphone without a headphone jack?